Chartis Insurance Ireland will back the most popular event in Irish golf. 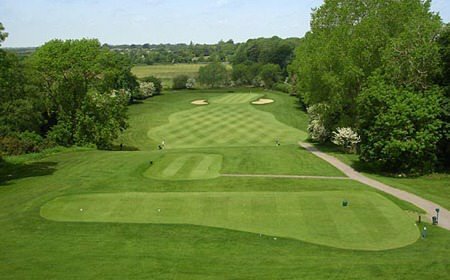 Starting in March each year, the 430 golf clubs affiliated to the GUI begin their preparation to try and win a coveted green pennant for their club in one or more of the five main events – the Senior Cup, Barton Shield, Junior Cup, Jimmy Bruen Shield and the Pierce Purcell Shield. It is estimated that over 20,000 golfers and 1,500 club teams participate at the first stages of the events at Provincial level. The champions from each Province go forward to compete in the All-Ireland semi-finals and finals which this year will be held at Castlerock Golf Club from 14 – 17 September with 500 golfers from 20 clubs involved. The Irish Senior Cup was instituted in 1900, when Dublin University won it for the first time. The Senior Cup is the most coveted trophy in club golf with teams of five players in singles match play, off scratch. Eugene Fayne (President, Golfing Union of Ireland) with John Boylan (Personal Lines Motor Manager, Chartis Insurance Ireland) at the launch of the Cups & Shields sponsorship by Chartis Insurance Ireland at the GUI National Headquarters, Carton Demesne pictured with the Junior Cup. Also in the picture are Seamus Smith (General Secretary, GUI) and Albert Lee (Hon. Secretary, GUI). Picture by Pat Cashman Commemorating the former Golfing Union of Ireland President, the Hon. Mr. Justice Barton, the first club to win the Barton Shield was Portmarnock, in 1920. In this event, clubs are represented by two foursomes pairings, playing off scratch. 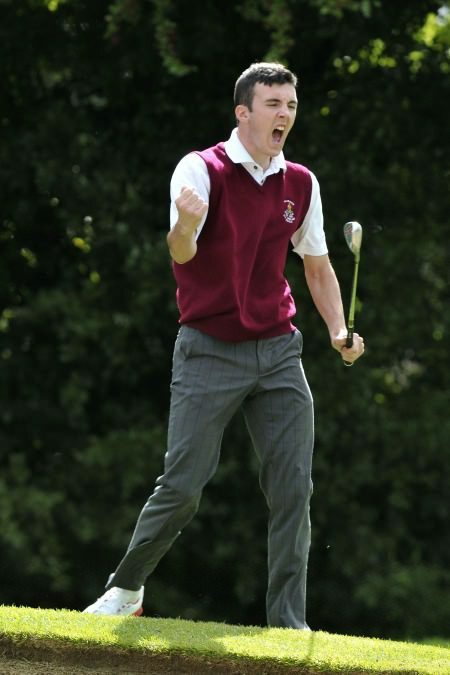 The Irish Junior Cup began in 1900 and is played for by teams of five players in singles match play, off scratch. There is a handicap limit for this event, which limits players to a minimum handicap of five in the preceding calendar year. Named after Professor Purcell, one of Ireland’s outstanding golf administrators and former President of the Golfing Union of Ireland, from the 1920s to 1960s, the Pierce Purcell Shield was won first by Masserene, in 1970. Five foursome pairings represent each club, comprised of minimum individual handicaps of 12 and minimum combined of 27. One of Ireland’s amateur golfing legends is commemorated by the Jimmy Bruen Shield, inaugurated in 1978 when Stackstown won the first competition. Clubs are represented by five pairings, the minimum individual handicap being 6 and the minimum combined 17. Each of the four Provinces in Ireland hold qualifying events in each of the five Cups and Shields, with the provincial winners in each event reaching the National Semi Finals and Finals stage. There is no other week like it in club golf the world over, writes the Golfing Union of Ireland. This week in a small, wind swept corner of Ireland, 20 teams representing 17 different clubs gather for the staging of the National Finals of the biggest club team events in the world. 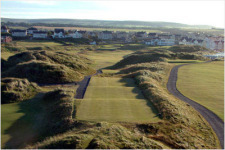 The ninth green at Castlerock Golf Club.Warrenpoint will meet Tramore in the final of the Barton Shield in what is the first leg of their All-Ireland treble attempt at the Chartis Cups and Shields finals at a magnificent Castlerock, writes the Golfing Union of Ireland. The 18th at CastlerockWoodstock claimed the Pierce Purcell Shield at Castlerock in the All-Ireland finals of the Chartis Cups and Shields, beating a resilient Corrstown in the final thanks to victories in the second, third and fifth matches writes the Golfing Union of Ireland. Elsewhere, Claremorris and Forrest Little will meet in the final of the Jimmy Bruen Shield after a thrilling pair of semi-finals that were both decided on the first tie hole. Magnificent Royal Tara will host the AIG All Ireland Cups and Shields finals this week. It’s arguably the greatest club competition on the planet - a chance for the sweet swinging elite, the improving middle classes and the struggling weekend hackers to rub shoulders, don the club sweater and put their necks on the line for one of those precious green pennants in the AIG sponsored All Ireland Cups and Shields national finals. Richard Hanley (Ballybunion) chips in on the 16th to win his match and the Junior Cup at the GUI All Ireland AIG sponsored Cups & Shield National Finals at Royal Golf Club. Picture by Pat CashmanClandeboye lifted the Barton Shield in style as Colm Murphy and William Russell put in star performances for the Ulster provincial champions in the AIG Cups and Shields Finals at Royal Tara, writes the GUI.